IMAGINiT Technologies, a division of Rand Worldwide and the world’s largest provider of enterprise solutions to the engineering community, has renewed its partnership with Leica Geosystems as an authorized dealer of high-definition scanning (HDS) solutions. 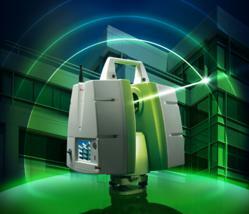 The scalable Leica ScanStation C5 is an entry-level laser scanner with Leica Geosystems quality scan data. As a leading provider of Autodesk software solutions and the largest North American Autodesk Authorized Training Center (ATC) partner, IMAGINiT believes that HDS technology is a natural extension to current design and engineering activities, helping building professionals facilitate conceptual design, renovation, monitoring and mapping. Michael Harvey, product marketing manager for Scanning with Leica Geosystems, agrees, adding, "We are very excited to have IMAGINiT as a partner, as both of our customer bases can benefit greatly from our combined knowledge of Autodesk and HDS products. The commitment from both companies remains strong. This provides our combined customers with the best laser scanning hardware and software on the market today." As a Leica HDS dealer, IMAGINiT will primarily focus on the Leica ScanStation C5 for as-built and engineering surveys, the portable Leica ScanStation C10 for topographic and monitoring surveys and the rugged, compact phase-based Leica HDS7000. While the Leica Geosystems/IMAGINiT partnership is currently focused on North American customers, IMAGINiT is looking to expand the partnership and solutions to its Australia, Singapore and Malaysian customer base.